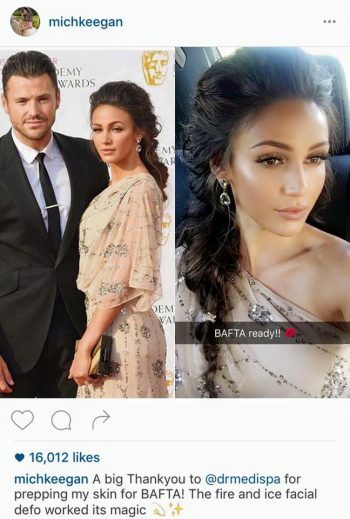 The ‘Red Carpet Facial’ you’ve always dreamed of, now available at HSA Dermal Clinic at the heart of London. We’re proud to present the incredible iS Clinical Fire & Ice facial – a remarkable new resurfacing treatment with a huge Hollywood following. Capable of brightening, tightening and smoothing the skin for a radiant glow with no downtime, iS Clinical Fire & Ice is a pharmaceutical grade treatment of distinction. Already the single best-selling treatment at the Four Seasons in Beverley Hills, iS Clinical Fire & Ice is setting new standards in skin resurfacing treatments worldwide. Packed with powerful botanicals and the highest-strength antioxidants on the market, iS Clinical Fire & Ice is particularly effective against acne, hyperpigmentation, dry, compromised and ageing skin. A growing list of famous faces – Gwyneth Paltrow and Halle Berry to name just two – are turning to iS Clinical Fire & Ice as a safe yet effective alternative to more invasive cosmetic procedures. This innovative treatment has been designed to perfectly bridge the gap between a mild facial and an invasive peel. The treatment itself acts like a gentle yet effective peel, using a combination of glycolic acid and retinol to resurface the skin, reduce visible lines, address pigmentation issues and boost the skin’s natural cell renewal processes. Two premium-quality masques are used to apply the latest products from iS Clinical, getting to work on the surface of the skin and at a deeper level. 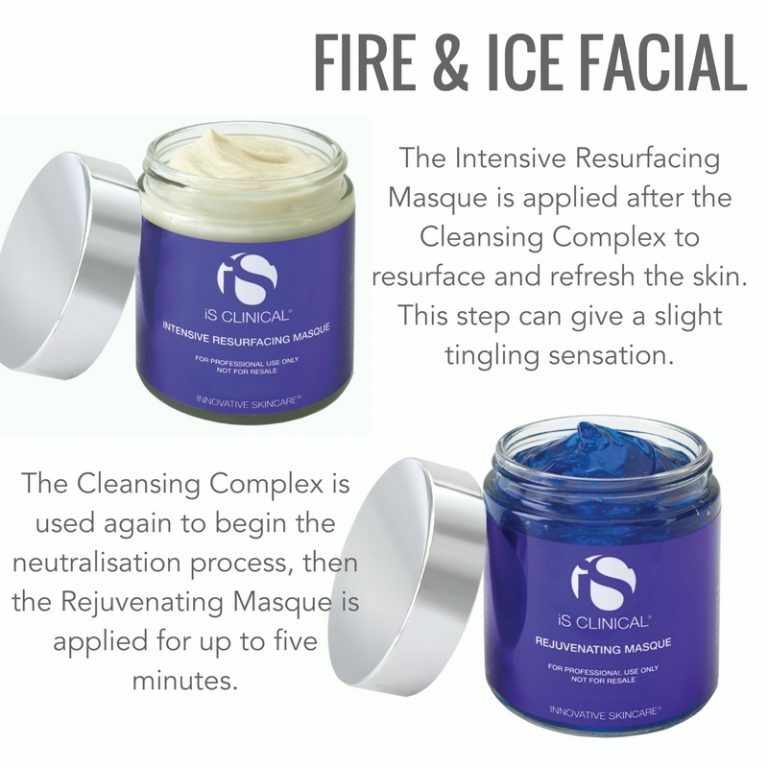 Best of all, the iS Clinical Fire & Ice exclusively utilises botanical ingredients and is therefore suitable for all skin types – including pregnant and breastfeeding women. The first intensive resurfacing masque uses a combination of sugar cane extract, citric acid, apple extract, retinol (Vitamin A), niacinamide (vitamin B3) and potent antioxidants from green tea extract. The second rejuvenating masque soothes and hydrates the skin with a combination of sodium hyluronate (hyaluronic acid), aloe vera, green tea extract, liquorice, grape extract and rosemary extract. After just a single treatment, the aptly-named ‘Hollywood Red Carpet Facial’ effectively removes the layer of dead and dry skin cells from the epidermis, stimulating the skin’s natural healing processes and delivering a rich dose of key nutrients. 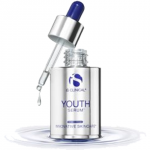 The result – smoother, tighter and more radiant skin with a healthy, youthful glow. 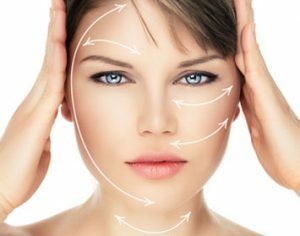 For more information on the latest iS Clinical Fire & Ice treatment or to book a free consultation with one of our experts, contact a member of the team at HSA Dermal Clinic today.